Our tenth summer here. Time flies. The trees are much larger. The bushes growing together. It is even more private than when we arrived. Not quite as quiet, though. More development brought more traffic. But still, summer out here is lived outdoors. Either mowing or weeding or trimming or harvesting or eating or drinking or whatever. I spend so much time outdoors. Watching the animals. The birds. The snakes. Yes, the snakes. Life in the country is always an adventure. We also eat more meals at home. Shop closer to home. 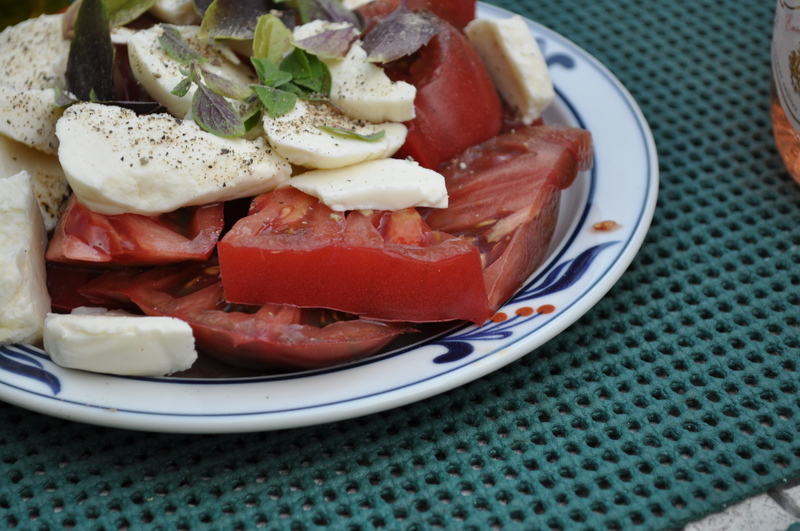 I almost titled this post, summer salad days, because we have transitioned into the summer routine of salads for lunch, and a big component of dinner. It’s too hot some days to cook. Or, our appetites are affected by the heat. We stopped up at the garden after dinner at Iron Bridge tonight. Tried to decide if we wanted to stand in that long line at the Woodstock snowball stand. Decided instead to come home for leftover crumble with a scoop of salted caramel ice cream. 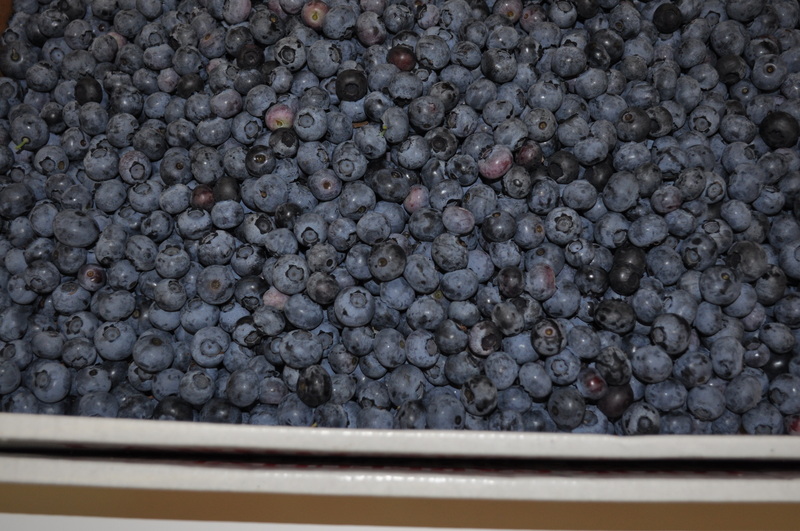 Blueberry season opens this weekend at Larriland. I never went to Larriland when we lived in Columbia. Now, it’s a couple of times a month. Peaches and blackberries after the blueberries. 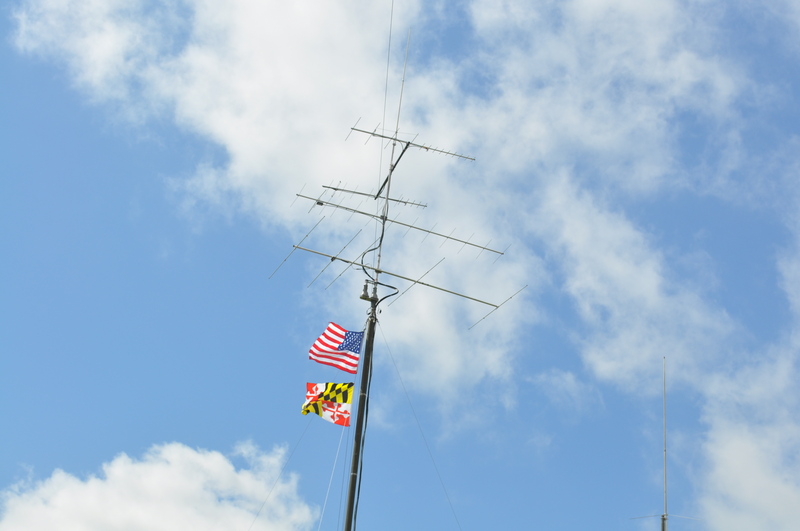 Getting ready for field day this weekend with the radio club. Hoping we don’t get storms. Tomorrow I need to go and vote. 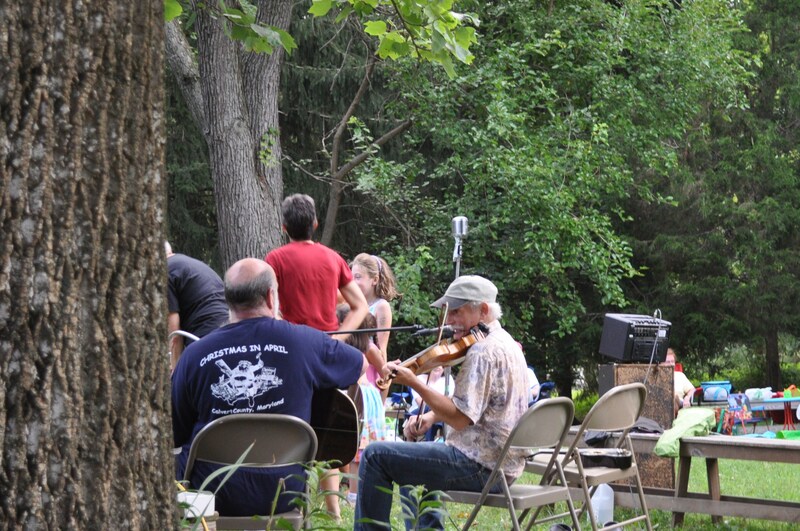 Thursday is Fiddlers and Fireflies, a summer staple in this part of the county, out at the Conservancy. Things don’t always slow down around here when it’s warm. Here’s to summertime. Officially here last weekend. To lazy days with minimal fuss. To that perfect Caprese salad. To Life in the Slow Lane. Posted in Community, Farms, Food, Gardening, Howard County, Local Businesses, Locavore, Weather and tagged community, cooking, farms, Food, foodie, gardening, Howard County, howard county conservancy, local businesses, Locavore, weather. Bookmark the permalink.